The mandate of the Student Equity Committee is to confront historical and current inequities at McGill through active engagement and public education in agreement with the Student Society of McGill University’s policy on equality and social justice. The dynamics, diversity and ideas of society are reflected within the student body and staff of the university. As a result, conflicts will inevitably arise from time to time. It is the responsibility of SSMU to provide adequate and equitable means of addressing and resolving these situations. Read the SSMU Equity Policy in the Policy and Plan Book. While tension is a natural part of human interaction, it is not necessary that all conflicts be resolved on an administrative level. The goal of SSMU Equity is to resolve problems that relate to existing social power dynamics that can result in discrimination; some prevalent examples are ableism, racism, homophobia, sexism and classism. Is the problem one that SSMU has the power to resolve? Is the issue an interpersonal or political one that may not require SSMU involvement? Is there an imbalance of power involved? This is a central component of inequity. Did this even occur within the last calendar year? 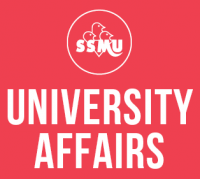 SSMU Equity may only address complaints in regard to incidents from the current calendar year. If you are at all uncertain or confused about the definition of equity or any part of the SSMU Equity Policy, remain aware the Equity Commissioner is a specialized SSMU employee whose is responsible for explaining equity to students in regard to specific situations. The Equity Commissioner’s contact information is available at the bottom of this page. If after reviewing the above steps, you believe that your concern relates to SSMU Equity, you can file an official Equity Complaint either using the online form or e-mailing the Equity Commissioner. After submitting an Equity Complaint, expect a confirmation of receipt e-mail within a week’s time. Depending on the number of current complaints, response time may vary significantly. Please be patient, and know that every complaint is treated with the highest level of seriousness, confidentiality and commitment. The Equity Officers fully discuss, investigate and evaluate each complaint individually. If, after the Equity Officers have responded to your complaint, you feel that your concern has not been adequately addressed, please note that the Equity Officers’ decision is a recommendation only, and not a binding decision. Any final action will be undertaken by another body, such as the Student Council, and in extreme cases, the police. SSMU Equity is dedicated to assisting all students through any kind of inequitable conflict. If you feel uncertain that your concern relates directly to the Equity Policy, please err on the side of caution and submit your complaint. We emphasize that the Equity Commissioner(s) will be happy to meet with you to discuss the situation, explain the Policy and provide referral to other resources if required. For more information, please contact the SSMU Equity Commissioners at equity@ssmu.ca.